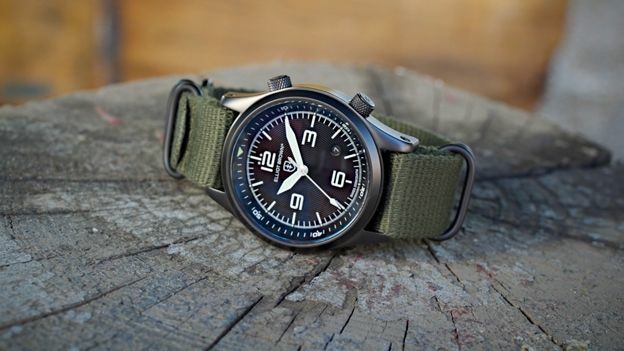 Animal clothing co-founder, Ian Elliot, has teamed up with the company's Head of Watch department, Alex Brown, to launch their very own watch making brand, Elliot Brown watches. The partnership have utilised their combined experience across marketing, branding and horology to innovate their own line of timepieces. Industry professionals have been eagerly awaiting their products which will be made from stainless steel whilst incorporating Swiss component parts. Their fresh new brand Elliot Brown watches debuted at the newly founded London Watch Show that took place on July 2nd to July 3rd. The first edition was marked as an important moment for the UK watch industry as it stands as the first UK trade show dedicated to watches. Ian Elliot co-founded Animal back in 1987 when he was fed up with continuously losing his watch in the water due to the straps breaking under extreme conditions. Therefore his solution came in the form of a webbing hook and loop strap that seemed to put an end to his problem. After setting up production in his bedroom, the company rapidly became popular with local surfers who also recognised its practical use in the water. The company's other half Alex Brown headed the watch department from 1996 to March this year however he's now focusing all his time on their new venture. “We're distilling almost two decades of experience into a few watches that incorporate everything we learned along the way, so they look a little sharper, work a little better, and last a little longer. Their lifespan is measured in years, not fashion seasons. “We followed our hearts, trusted our instincts, and made a small range of watches that we're proud to put our names on. Smart enough to wear with a best shirt and well-made enough to become a trusted favorite, making memories and acquiring history, with little details that you'll miss when you wear another watch”.